Life became difficult for Leslie Tikotikoca after his right leg was amputated. But, he did not give up and tackled all the obstacles which came in his way to complete his education and become a successful person in life. The 27-year-old is a second year student at the University of the South Pacific (USP) and pursuing a Bachelors degree in Sociology and Social Work. Mr Tikotikoca said: “I am a human with a lot of abilities and talents and I love to live life. “It does not matter what difficulties you face in your life, know that you have a purpose in life. Mr Tikotikoca is youngest of six siblings. He was born in Suva but raised in Vuna village on Taveuni Island. Currently, he lives with his family in Kalabu, Nasinu. “On December 3, 2002 when I was walking with my friend in Nabua, I accidently stepped on a live power line. I was only 13-year-old then. “The live power line was lying on the road for a week after a truck hit the utility pole and a week later I accidently stepped on the live power line,” he said. Mr Tikotikoca said he was in coma and was admitted at the Colonial Memorial War (CWM) Hospital in Suva for a week. “I was then transferred to a hospital in New Zealand and I was admitted their nearly four months. “I underwent nine operations and learnt how to speak again. I am so thankful that I can talk again and I am able to move my left hand again,” he said. Mr Tikotikoca said that incident changed his entire life. “At first I had negative feelings about my life because I was born with two legs not one leg. I was only thinking if I was worth living and how I would fulfil all my dreams. “I am so fortunate my parents and siblings carried me through that dark cloud and storm and they have helped me to become a better person I am today,” he said. 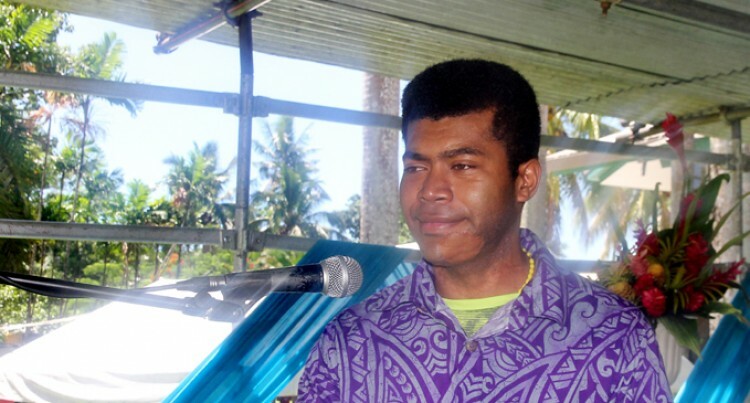 Mr Tikotikoca attended Marist Brothers Primary School and Marist Brothers High School. He also joined Athletics Fiji and won a gold medal in javelin last year. “I am now trying to fulfil my career in education and athletics,” he said. While speaking at the USP’s orientation yesterday, Mr Tikotikoca wished all the new students all the best and encouraged them to work hard and become successful in their lives. Meanwhile, USP’s 2017 Orientation Week was launched by the Minister for Education Mahendra Reddy yesterday.